Improve my LinkedIn profile? How can I resist? I dig LinkedIn. I enjoy the idea of a completely separate network where I can focus on professional connections, sharing ideas among other industry professionals, and not have to worry about boring my friends or receiving requests for anything ending in -ville. I have denied numerous requests to join people’s Branch Out app requests on Facebook simply on the premise that I already have a LinkedIn profile. Now Branch Out has reached 25 million, but I’m still standing my ground. I’m not doing it. And speaking of LinkedIn, I just wrote a guest post on Starr Hall’s blog (online columnist for Entrepreneur.com and event speaker extraordinaire) on how to use the little-utilized Projects feature to create great connections with collaborators on LinkedIn. I also made a video tutorial, for you visual folks. 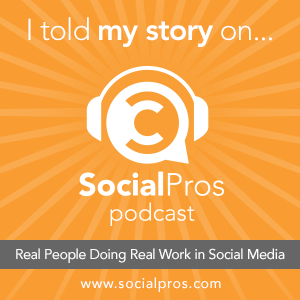 It will walk you through how to add Projects to your profile and how to use it as a starting point to create or enhance your connections on LinkedIn while highlighting work you’ve done. I think everyone using LinkedIn should have at least one Project on their profile. I’d love to hear your thoughts there or here. Are you already using Projects? Is this news to you? What other ways do you see this feature as useful? Oh no! It seems her blog link isn’t functional. Here’s a direct link to the video. Thanks for pointing this out! I’ll have to edit the post now.